Iliopsoas muscle is formed by the combination of two muscles: Psoas major and iliacus muscle of hip. As these muscles are closely related in function and structure that they are seen as a single muscle, iliopsoas muscle. 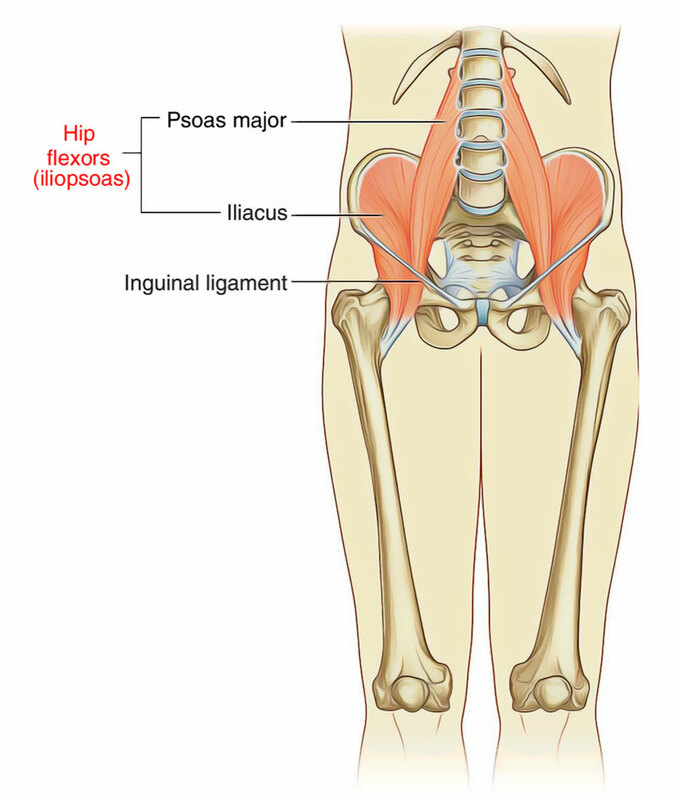 Like the psoas major muscle, the iliacus flexes the thigh at the hip joint when the trunk is stabilized and flexes the trunk against gravity when the body is supine. As Iliopsoas muscle is the combination of psoas major and iliacus muscle. Both the muscles link together towards the bottom end where these muscles attaches to the lesser trochanter of the femur. Psoas Major is a long fusiform muscle stretching from the sides of lumbar vertebrae to the lesser trochanter of the femur. The enclosing of the Psoas major is a fascial sheath known as Psoas Sheath. Since the iliopsoas muscle is the strongest flexor it is important for running, walking and standing. It also rotates thigh at the hip. Since iliopsoas muscle if formed by the combination of psoas major and iliacus muscles we need to take in account the actions performed by the two muscles as well. Flexes the thigh at the hip joint. Posteriorly tilts the pelvis at the LS joint. Flexes the trunk at the spinal joints. Anteriorly tilts the pelvis at the hip joint. As part of the iliopsoas, the iliacus is vital for flexing the femur forwards. The psoas major muscle is supplied by branches from ventral rami of L2, L3, L4 spinal nerves. Innervated by divisions of the femoral nerve.